Vietnam has featured often in Garland, but it is yet to be a focus of our journey. Fortunately, we have been invited to present at the upcoming Lifestyle Vietnam event in Ho Chi Minh City 17-20 April. This an opportunity to gather the stories that might be interesting to share as part of our overview of the Indo-Pacific, as well as explore the One Village One Product program. One Village One Product was founded in 1979 by Morihiko Hiramatsu san, who was Governor of Oita Prefecture in Japan. Hiramatsu san wanted to address the declining population in rural areas by creating a system for promoting unique craft and food items. It is common practice in Japan for travellers to purchase the meibutsu or unique local products of a place they village to take back home as gifts. This movement has since expanded to other countries, such as Thailand, Africa and Central Asia. There is now an attempt to introduce it to the South Pacific. We have a commitment to increase respect for the culture of villages. Our Thai issue demonstrated the important cultural role that villages play today as places to embed creativity in communities. OVOP has the potential to improve the sustainability of those villages while respecting their unique culture. We’re pleased to partner in this with VietCraft. 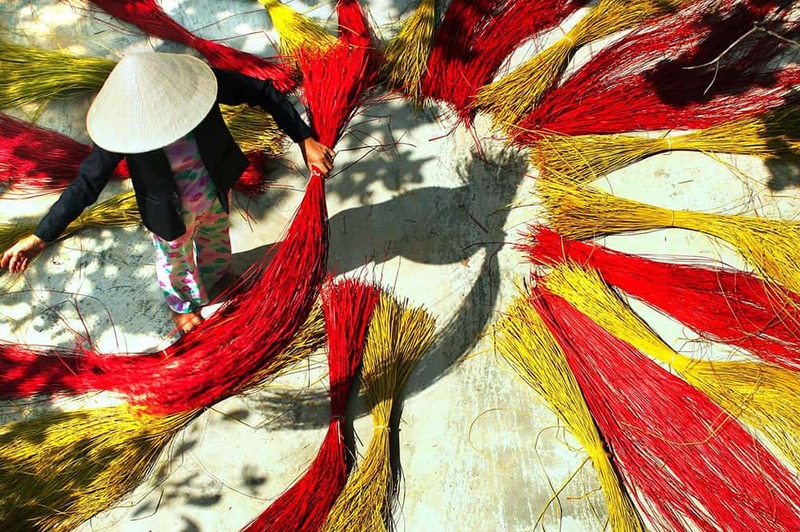 You can sample the unique crafts of Vietnam from the entries they produced for the Encyclopedia of Crafts in the Asia-Pacific Region. If you would like to know more about our engagement with OVOP or wish to nominate a handmade product from your locality, please contact us.